South Philly’s Garrett Wilson to take on Brian Howard in Xcite Fight Night 3 at Parx on March 1. Inside South Philadelphia’s Marian Anderson Recreation Center, the ear-to-ear smile of Garrett Wilson lights up the entire boxing gym. Sporting a bright orange polo shirt, two of his children by his side, the 36-year-old is the epitome of a lovable teddy bear. But don’t let that grin fool you. 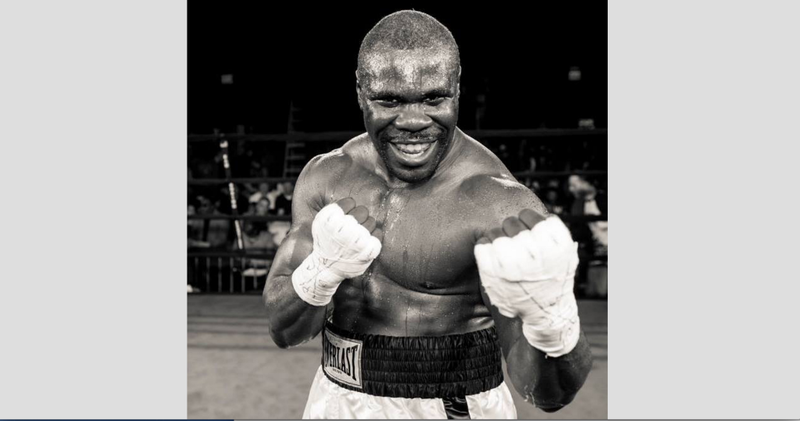 In the world of boxing, the professional cruiserweight is a force to be reckoned with. Constantly remaining in peak physical condition with six days of regimented weekly training, this “old-school” fighter is open to battling any and all opponents thrown his way, even at a moment’s notice. On Friday, March 1, Wilson, who is widely known as the “Ultimate Warrior,” will take on Georgia native Brian Howard in an eight-round bout in the main event of Xcite Fight Night 3 at Parx Casino in Bensalem. This event marks the first of four Joe Hand Xcite Fight Night boxing events in 2019. Ahead of the event, the South Philly Review caught up with Wilson at Marian Anderson, his home away from home at 740 S. 17th St., to learn about his early days in boxing, his unique approach to entering the ring and the excitement Fight Night attendees can look forward to next month. Unlike many fighters who follow in the footsteps of fathers and grandfathers, Wilson turned to the sport as a means of self-defense. “Believe it or not, I actually got involved with boxing because I got bullied a lot. From elementary to about high school, I got bullied unmercifully,” he said. After a friend suggested boxing, Wilson decided to give it a shot. What did he have to lose? Even after the bullies set off to find an easier target, Wilson stuck with his newfound pastime. He had found his calling. Since turning professional in 2008, Wilson has fought some of the best across five countries, nine states and 23 cities. Twelve of his 34 previous opponents were undefeated at the time, with their combined record standing at 397–78–19. Still, that didn’t deter Wilson, who has been rated among the Top 10 cruiserweights in the world at various times during his 11-year career, and currently holds the Pennsylvania State Cruiserweight Title with a record of 18–15–1. Some of Wilson’s biggest wins have been over Omar Sheika, Chuck Mussachio and Andres Taylor. But even these tough opponents didn’t rattle his nerves. That’s because he’s considered one of the last remaining “old-school” boxers. To ensure he’s capable of jumping in the ring anywhere, anytime, the North Philly native and South Philly resident hits the gym every day except Sunday. This intense training schedule is in addition to working at a refinery and raising four children, ages 8, 10, 13 and 17. “I’m just a regular, everyday blue-collar guy. Just to go work, take care of my family and box in my spare time,” he said. With four little ones under his influence, Wilson works diligently to serve as a role model, constantly striving to improve his craft rather than bash his opponents. “Talk is cheap, and I got bills to pay,” he said. Still, Wilson’s humbleness shouldn’t be confused with weakness, and he promised Fight Night-goers a riveting time. Wilson’s March 1 opponent Howard (13–2, 10 KOs), a pro since 2010 who trains at Fast Lane Boxing Gym in West Philadelphia, is ready. If you go: Xcite Fight Night 3 will take place Friday, March 1, at Parx Casino’s Xcite Center, 2999 Street Road, Bensalem. The card, promoted by Joe Hand Promotions, consists of seven fights, beginning at 7:30 p.m. Doors open at 6:30 p.m. This event is for adults age 21 and older. Tickets priced at $50, $75 and $100 are on sale at Joe Hand Promotions, 215–364–9000. Tickets can also be purchased from the Hold My Ticket Call Center at 1–877–466–3404 at parxcasino.com/entertainment.